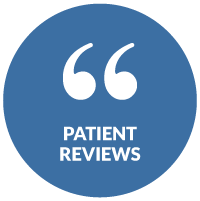 Our team takes great pride in treating our patients with exceptional care and understanding. You will be greeted with a smile the moment you step through our doors! Our friendly, diverse team includes specialists in general dentistry, periodontics, prosthodontics, implants, and dental sleep medicine so virtually all aspects of care can be done right in our office. We are committed to quality. All of our dentures and other prosthetics lab work is 100% Made In the USA. 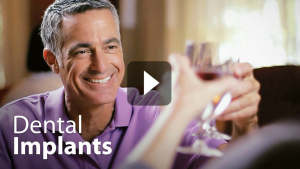 We also include Lifetime Adjustments on our premium dentures for no extra charge. We make it our priority to provide the very best possible care and outcomes for our patients. You don’t have to take our word for it, though. 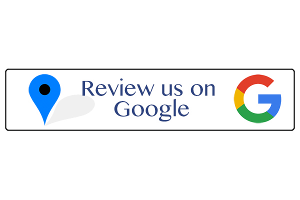 Use the buttons below to read reviews from real patients and leave your own feedback on Google and Facebook. So many people avoid the dentist because of fear – fear so great even sitting in the reception room makes you sweat. Or they avoid treatment they know they need because they don’t want to come back for multiple visits. Sedation Dentistry can help both situations! We can get many visits worth of treatment done in one visit, easily, comfortably, and usually with you having little memory of the procedure using either IV or oral sedation. Dental Implants look, feel, and function like natural teeth. Implant dentures can help you regain the ability to eat virtually any foods and smile with confidence! There is more to oral health than teeth. The soft tissues in your mouth, like gums and the mucosa that make up the insides of cheeks and lips, play a vital role in dental function and appearance. We are proud here at White Wolf Dental to offer high-quality, specialized periodontal care right in our office. Beautiful, functional dentures to fit every need and budget. Quality Dental Plan is a membership plan offered to our patients here at White Wolf Dental. Members enjoy reduced rates on most services, as well as included routine preventative care at no additional charge. Many people put off dental care because of expense, but with White Wolf Dental and Quality Dental Plan, you can get the high quality care you need at a price you’ll love! Save $1,600 on implant partials and crowns! Implant body placed by a specialist, custom abutment, classic crown, new patient exam, and 3D scan all for $3495. A savings of $1600! Save $2,019 for the New Year on the revolutionary Done-In-One implant denture process! Just $19,976 per arch and a 5 year warranty for complete permanent implant dentures with fewer visits to the dentist.